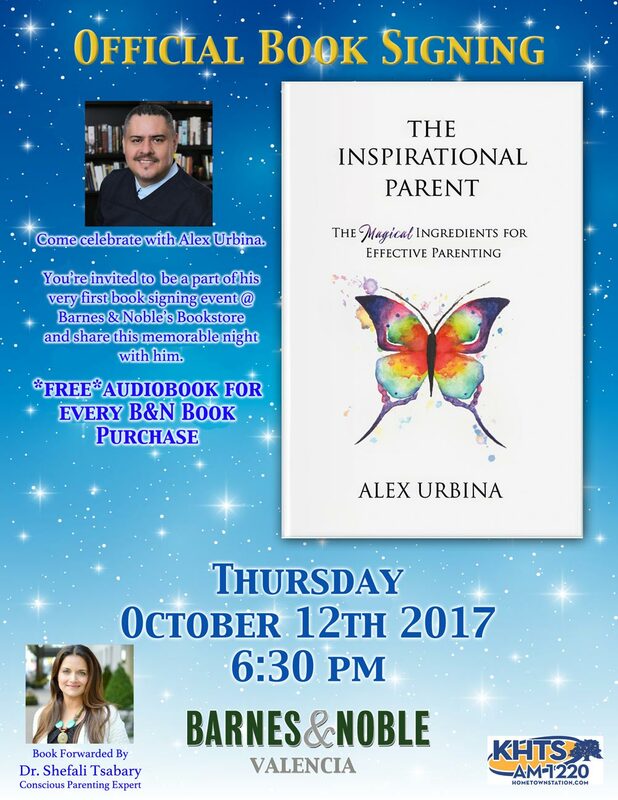 Life Coach Alex Urbina's life purpose is to help others discover their next level of greatness, so that they can create the life of their dreams. 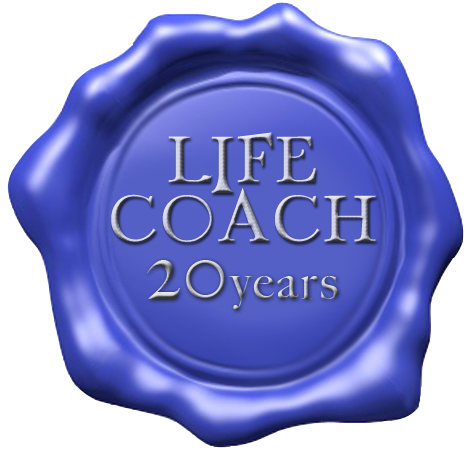 Alex Urbina offers coaching services to individuals, families, educational programs and business’s to assist their continued growth and help them create extraordinary results. 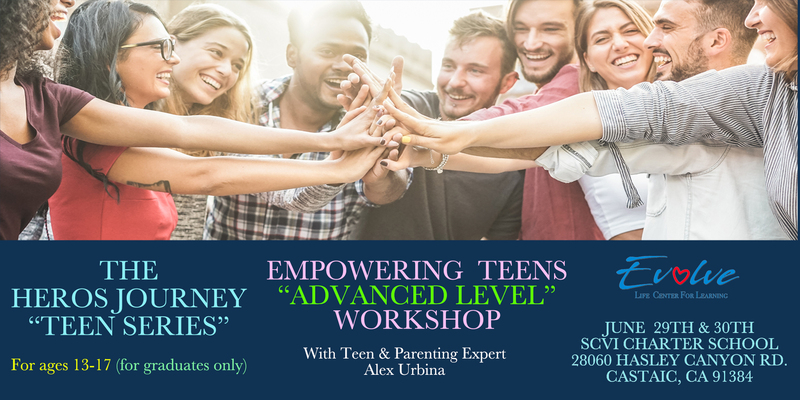 Is your teenager a graduate of one of Alex’s Teen workshops? Are they ready for an “Advanced Level” of personal growth? 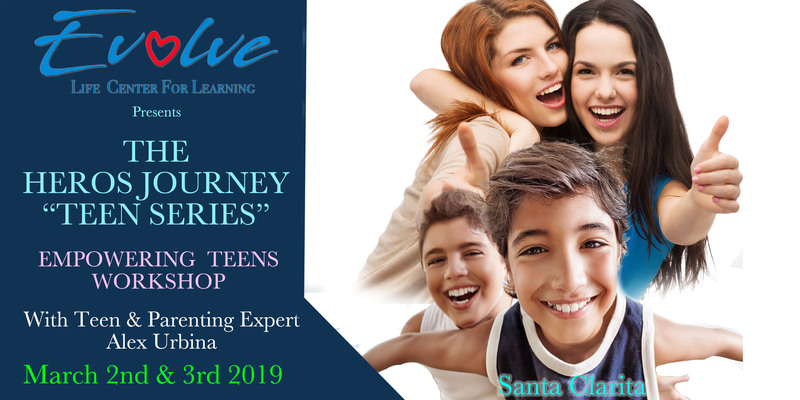 Evolve Life Center SCV is hosting my Empowering Teens Workshop in Santa Clarita on March 2nd and 3rd, 2019. One of the biggest mistakes average parents make when it comes to raising children is assuming that intellect is the same as emotional intelligence. After twenty-three years of empowering teenagers, I have learned so much about them. 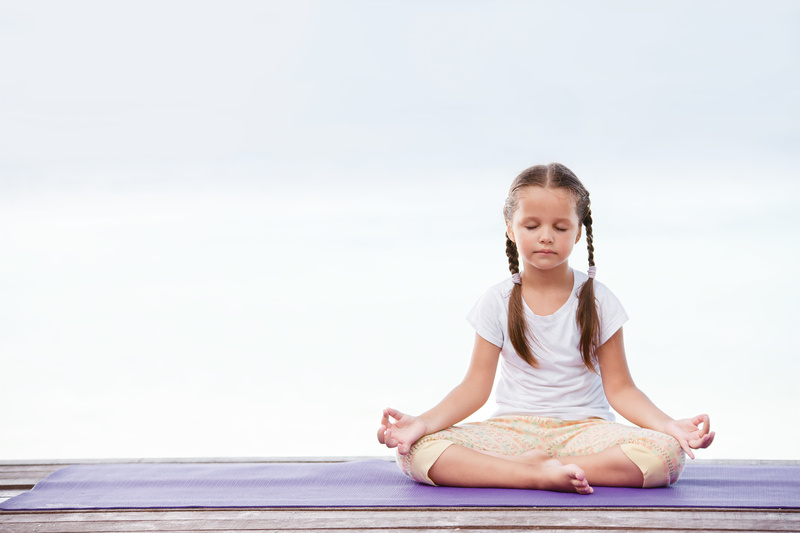 Maybe you have noticed that your child is having a difficult time concentrating on their school work, or perhaps they are having challenges when it comes to listening to you when you’re giving them instructions, or asking them a question? 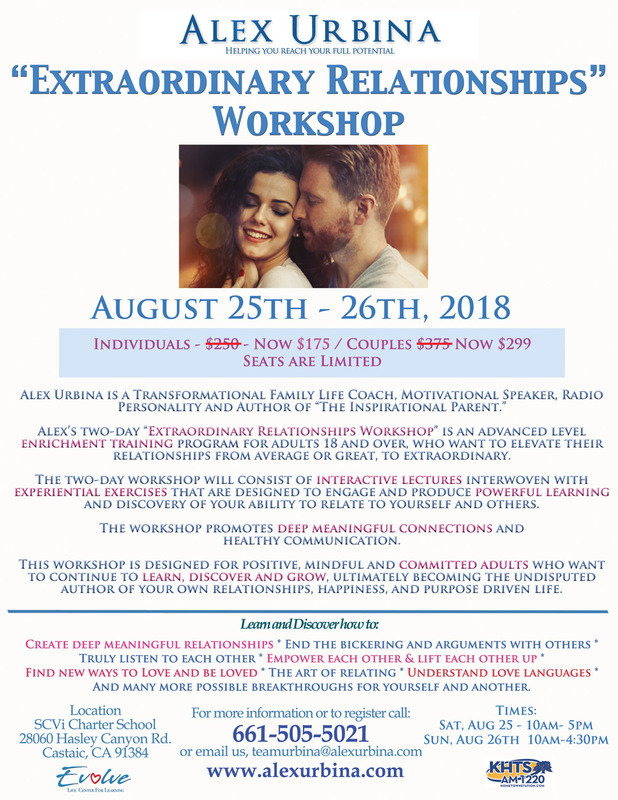 “Extraordinary Relationships” Workshop is a very powerful and refreshing personal growth experience for every human being interested in enhancing their relationships with the people they love most in their life. 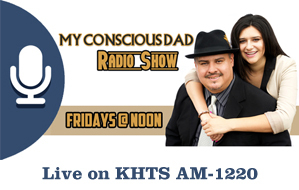 Alex Urbina is a Teen & Parenting Expert and World Renowned Transformational Teen Trainer. 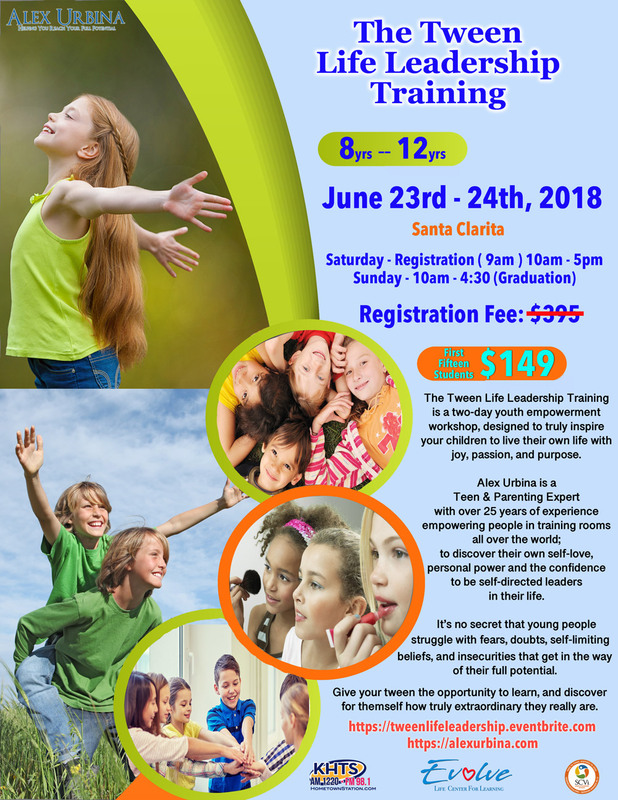 He is hosting for the very first time in his own community a Transformational Training for Pre-Teens ages 8 to 12 years old. 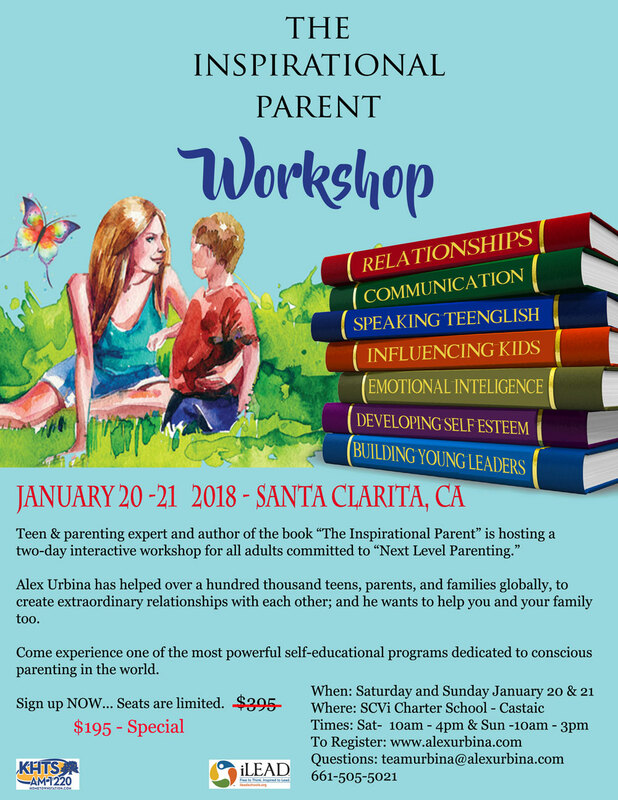 The “Super Woman” Workshop with Alex Urbina: One of the greatest gifts you possess as a woman to live powerfully, passionately, and purposefully is waiting for you to access it. 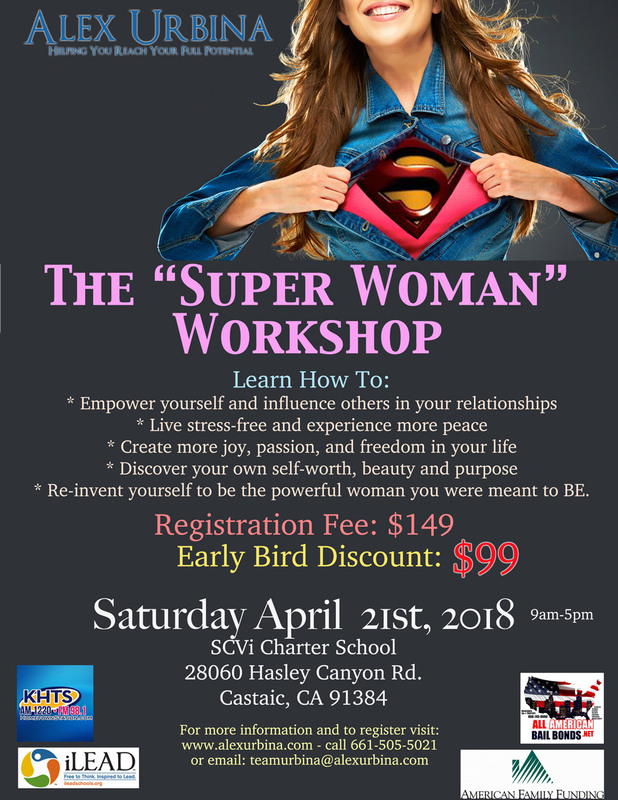 Come to The Super Woman Workshop and discover for yourself how powerful you “Really” are. Their first meeting is Tuesday night October 17th @ 6:30pm in Newhall. 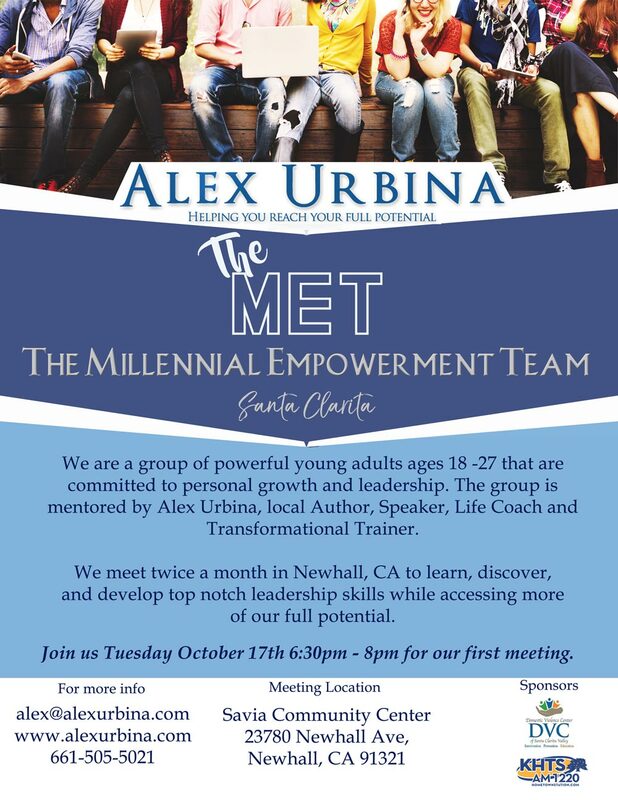 Alex will be mentoring this group of self declared millennials, that are interested in discovering and developing the leader within.